You’re staring at yourself in the mirror, your nose almost touching the glass. You’re trying on new glasses and being very particular about them. Your eyes are important and you’re going to be wearing these every day, so you want to make the right choice. The same could said for choosing a dentist. They are essential part of maintaining your oral health. Everyone in your family needs dental care, and you want to be able to take them to the same trusted place. How can you go about choosing the right practice? Here are 3 tips for choosing your family dentist in Park Slope. Of course the best starting point is to research the dentist who is running the practice. You will not only rely on them to take care of your family, but also trust them to put together and run the right team of professionals. You need a dentist who is educated in a variety of techniques and procedures so they are able to accommodate a variety of patients. Dr. Frank Sapienza easily fits all of this criteria. He brings his 30 years of experience to every exam and procedure he performs. Dr. Sapienza earned his DDS degree from the prestigious New York University College of Dentistry in 1985. He still continues to further his education today to stay on the cutting edge of dental care. He is a published author and member of multiple professional organizations. He has been dedicated to helping people smile ever since he worked in his father’s dental practice. Everyone in your family is different, and the same applies to their teeth. Perhaps your children just need a simple check-up and cleaning, while your parents need to have some of their teeth repaired. Try to find a practice that can address anything that your family’s teeth might need. 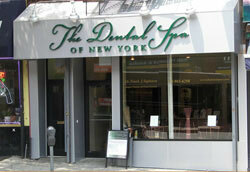 The Dental Spa of New York is happy to offer a comprehensive array of services. Whether you need your teeth cleaned, want to have some restored, or simply want your smile to look its best, you can get everything you need. Dr. Sapienza and his team know that each person in your family should get exactly what they need and want from one dental practice. Nothing speaks more about a dentist’s abilities than to hear from his other patients. In a day and age where people are always happy to express a negative opinion, Dr. Sapienza’s patients take time out of their day to praise him. He is universally regarded as one of the most skilled, experienced, and genuine medical practitioners by everyone who comes into his office. 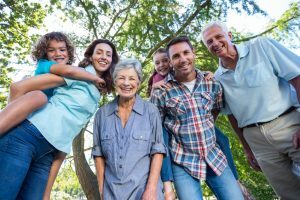 Want to know more about how to choose a family dentist, or what other services are offered by the Dental Spa of New York? Please give us a call today and we’ll be more than happy to answer your questions and let you know why Dr. Sapienza is the right choice for your family.